We are a wholly owned subsidiary of Avillion Hotel Group, an award winning hotel chain and Reliance Pacific Berhad, an integrated travel, hospitality and property development group publicly listed in South East Asia. Avillion Private Collection leverages on the group’s proven track record and hands on experience in hotel management and global travel distribution, to deliver a unique experiential stay for our clients. We help homeowners generate income from their under-utilized homes, properties and estates in Asia. Born out of the desire to marry private property owners to international travellers, we are Asia’s one and only private residence and luxury home property management and marketing specialist. We see Avillion Private Collection as an extension of the brand values and service standards under the Avillion brand. We are a boutique brand, offering unique experiential stay experience for our customers. So, if you are looking for luxury holiday Malaysia with fully privacy with you family, you should visit our website. 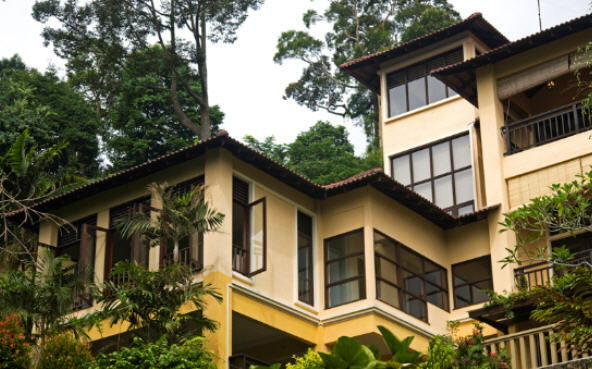 Idaman is nestled amidst the lush tropical rainforest of Tanarimba, a gated community in Janda Baik. At an elevation of between 1,500ft and 4,500ft above sea level, this contemporary tropical home offers a perfect hideaway in the nature and away from the city. Enveloped in a beautiful garden, this private home consists of 5 well appointed bedrooms, all with breathtaking treetop views of one of West Malaysia’s oldest rainforest. The Pavilion Residences is located above the Pavilion Kuala Lumpur, a world-class shopping mall with more than 400 retail stores housing the flagship stores for some of the world’s finest luxury brands such as Prada, Saint Laurent Paris, Hermes, Gucci, Tiffany & Co. and the list go on. The apartment is also located within the Bukit Bintang golden triangle and is a 5 to 10 minutes walk from major shopping malls such as KLCC, Starhill Gallery, Lot 10, Sungei Wang Plaza and Kuala Lumpur’s food stall streets, Jalan Alor and Jalan Imbi.